The Balloon Release will be at the foot of the Palatka bridge on August 17 at 2:17 pm! Free Balloons will be given away for the release beginning at 10 am. Everyone can post their sentiments here if you wish too. Thanks Izzy! Am amazed that argument is still going on, with the same folks it seems. Gosh. Is this a new forum or something? Went over there and they are discussing stuff we have ripped to shreds looking at monthsssssssssssssssss ago. And saying things like (paraphrased) 'wow, we are really making headway in this'. Ermmm.. should we tell em that they will only be going round in circles? Or just let em find that out on their own? It was just weird. Kept checking the date at the top of their thread. Like I was in a time warp or something. Nope, not really new. Just people that are interested in HaLeigh's case, wanting to keep HaLeigh's name out there and interest until justice is served. We are in it for the long haul. That's cool then. It's not so bad rereading some of this stuff, watching em work it out. Might find something totally missed back then. Wouldn't that be something! And yeppers, definitely in it for the long haul. HaLeigh deserves no less!! Werter seems to think Tommy's not going to get much time. Tommy's going to be in for a huge surprise on 8/6. Expecting a big push by the State for enhanced penalties. I find their reasoning unpersuasive. Hope Judge LaRue feels the same way ! Heart, thanks for all you do to keep the info before us. I appreciate it so much. I still come here daily to see if there has been a new development leading us to Haleigh. I still pray she will be found and the guilty parties will be brought to justice. We will not forget you Haleigh. Great Big Ditto! Thank you! Thanks for all you do from me too, Heart. I try to stop in here everyday to get the latest and all of your info is greatly appreciated. With all the children that are abused, missing and killed on a daily basis, it takes all of us to get involved and stay involved, and be their voices. How someone can harm such lovely, innocent children, their own or others, is beyond me. May justice be served in all these cases sooner or later. Preferably sooner. My take on it is that Werter had Det. Cone subpeonaed as a witness for Tommy. The judge/state or courts rejected that. Here's the legal info about what quash means in the legal system. TC is trying to subpoena Det. Peggy Cone to testify for the defense at his sentencing hearing. Detective Cone is one of the lead investigators on the Haleigh case. IMO, Werter feels Cone's answers to certain questions might help the Judge to see that TC should get a light sentence because "if it wasn't for Haleigh he would not be in jail" on drug charges. The State has made a Motion to quash the subpoena. I have a feeling we might not see a sentence imposed on Friday after all, but yet another continuance. We are all doing what we can to keep a focus on her. A vigil to commemorate the 18 months Haleigh Cummings has been missing will be held next week in Welaka. The paternal side of the family has organized the memorial, which will take place at the First Baptist Church on Tuesday at 6:30 p.m.
Annette Sykes, Haleigh's great-grandmother, said they are still holding onto hope that Haleigh will be found and brought home. "It's just like an existence from one day to the next," Sykes said. "Is today the day, you know? Every day we pray that today is the day that she comes home." A balloon release will also take place on Haleigh's seventh birthday Aug. 17. Balloons provided by the family will be released at the Riverfront Park next to the clock tower in Palatka at 2:17 p.m.
Haleigh was born at 2:17 a.m., Sykes said. "I just ask that people keep praying and helping us look for her, because we believe she is still alive," Sykes said. "We would be glad for anybody that would like to participate, and we thank everybody for all the prayers and anything that they've done to help us." 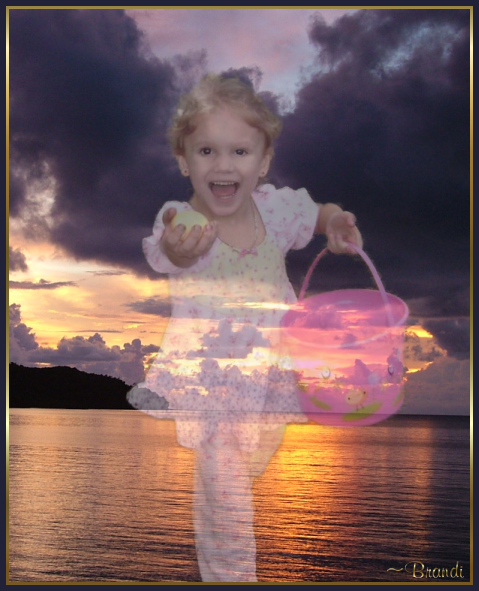 Haleigh was reported missing at 3:27 a.m. on Feb. 10, 2009. No trace of the blonde kindergartner has been found despite massive searches by law enforcement officers and volunteers on land and water. Haleigh's disappearance initially was described by authorities as a child-abduction case. At the conclusion of a three-day April search, Putnam County Sheriff Jeff Hardy officially labeled it a homicide. Then-17-year-old Misty Croslin was babysitting Haleigh the night she went missing. Croslin, now 18, told deputies she put Haleigh to bed just after 8 p.m. and went to bed herself a couple hours later. Croslin said she awoke around 3 a.m. to use the bathroom when she noticed the kitchen light on, the door propped open with a cinder block and Haleigh gone. Haleigh's father, 26-year-old Ronald Cummings, was returning from his night-shift job at PDM Bridge in Palatka when the child was reported missing. Diving squads, ground searches, bloodhounds and helicopters scoured areas of the St. Johns River and Satsuma woods while door-to-door interviews were conducted and officers searched vehicles at roadblocks. Two camps were set up in the neighborhood to house the maternal and paternal sides of Haleigh's family. For more than a month, tents remained aglow with hundreds of candles used in nightly vigils while national news media spotlighted the child's disappearance. A month later, Croslin and Cummings married at Sykes' house in Welaka. Authorities named Croslin the key to the investigation after her statements to investigators reportedly had numerous inconsistencies about what took place between 10 p.m. and 3 a.m. the night Haleigh disappeared. After seven months, Cummings divorced Croslin, citing public scrutiny. In January, Cummings, Croslin, Hank Croslin Jr., Cummings' cousin Hope Sykes and a former search volunteer Donna Brock of Orlando were arrested following a monthlong narcotics investigation into the trafficking of prescription pills. They remain in jail today. Sykes said Cummings is not taking the separation from his daughter well. "Those two days are going to be really hard for him," Sykes said. "With this coming up, he's already upset."